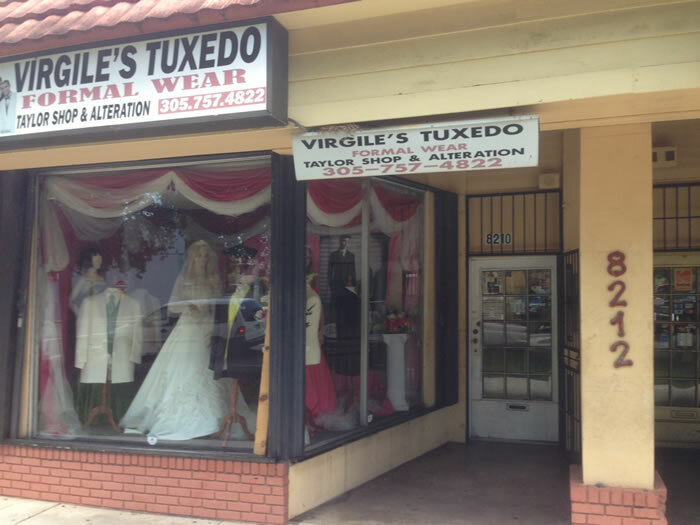 At Virgile's Toxedo Formal wear in Little Haiti, we take pride to offer a high degree of personalized rental service of apparel and formals. Our dedicated and experienced staffs are always ready to help you get prepared or organize any occasion whether it is a formal party, wedding, proms, company gatherings or funerals and many more. A-Z Formal wear guarantees the most competitive price in South Florida and we offer one free Groom's tuxedo with rental of five tuxedos and a special discount for the ring bearer. We will help you to select your right style, color and accessories for your special occasion. Simply visit our store for personalized assistance.